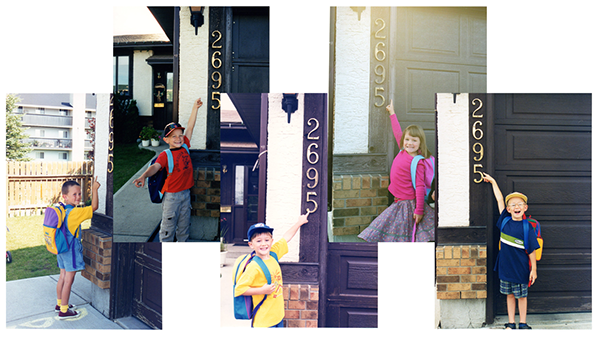 My Mom had a tradition to take a picture of us on our first day of Kindergarten in front of our house, pointing at the house number. As a Christmas present for my Mom, I took the 5 individual photos and combined them into one image. I created a similar style project in 2013 for my Dad. 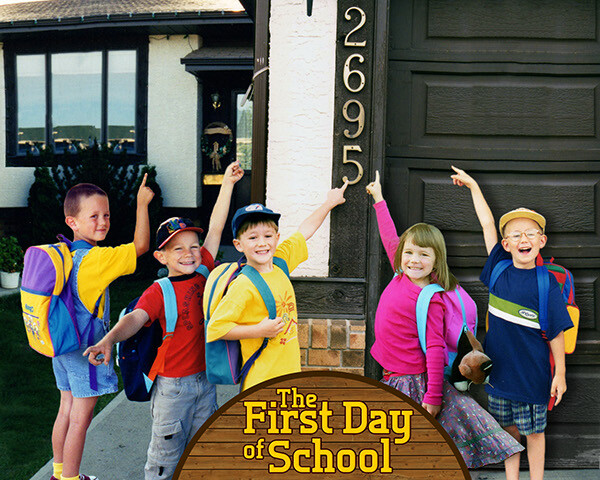 Here are the original photos from the first day of school. 5 individual photos, manipulated into one.